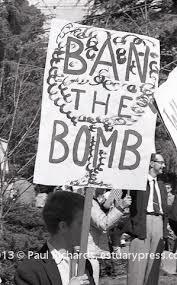 Due to rising concern about radioactive fallout from increasingly big nuclear tests underwater, in space, in the atmosphere and underground, as well as concern over the burgeoning arms race between NATO and Warsaw Pact countries, the US, UK, and USSR decided to negotiate a test-ban treaty. These concerns became more pronounced after the United States successfully tested a hydrogen bomb and a thermonuclear device with the power of eight megatons of TNT in November 1952, and 15 megatons later on, and when the U.S.S.R. detonated a 50-megaton nuclear warhead, deliverable by a bomber, in October 1961. 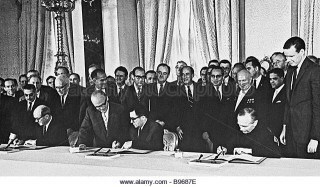 Diplomatic exchanges went through 1959 and 1960, and in-person negotiations continued until 1963, when five Warsaw Pact countries, five NATO countries, and eight non-aligned countries met in Geneva to hammer out the details of what would become the Limited (or Partial) Test Ban Treaty). 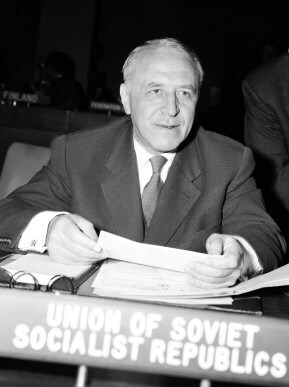 Initially, the Soviet Union proposed a testing ban along with a disarmament agreement dealing with both conventional and nuclear weapon systems. 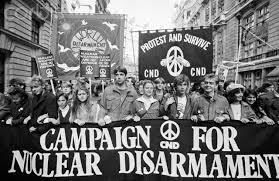 It was only later during 1959 and into the early 1960s that the United States, the United Kingdom, and the Soviet Union agreed to detach a general agreement on nuclear disarmament from a ban on nuclear weapons testing. 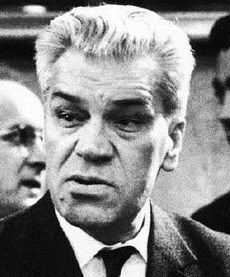 The Soviet Union agreed only to a testing ban with no verification regime or protocols. The United States and United Kingdom insisted on intrusive, inspection-based control systems as a means to verify compliance. On the other hand, the U.S.S.R. held the position that surveillance and seismic detection equipment operated from outside the boundaries of any signatory was adequate to verify compliance. The Western Powers thought that any agreement not subject to a control system rigorous enough to verify compliance would set a bad precedent in nuclear arms control for future agreements. In July, 1963, Soviet Premier Nikita Khrushchev signaled his willingness to agree to a ban that would exclude underground testing. This was the position that the Western Powers had long favored as an alternative to a more comprehensive (underground environment) ban. This opened an opportunity for a three-power meeting among the United States, the United Kingdom, and the Soviet Union on July 15, 1963, in Moscow. The negotiations in Moscow, reflecting the long deliberations that had gone on for nearly a decade, took relatively little time as the treaty was signed by representatives of the three governments only 21 days later. Please follow the links to read more about the Comprehensive Test Ban Treaty, the Cold War, and diplomatic negotiations. And then we came back with some partial proposals like suspension for a year, and then see how things go. The Soviets wouldn’t buy that either. Coming back to ‘58, after some negotiations with the Soviets, we agreed to explore the possibility of a nuclear test ban – including all tests, including underground. We were after on-site inspection. We would not buy any plan without on-site inspection, to be foolproof. On-site inspection meant that if you had a wiggle on the seismograph that looked suspicious to you, that indicated that it might be something other than an earthquake, then you were entitled to send a team to that site, to the location of the tremor and inspect to see what really happened [for underground tests]. For above-ground testing, there was not need, really, because there would be fallout. What happened was there were negotiations between us, the Soviets and the UK, because they were testing on our sites, so they were participating in the negotiations as well. And then in 1962, the 18- Nation Disarmament Committee was established. But when this was established, our negotiations were sort of a subcommittee of that committee, bilateral, but there was no progress and so it petered out. MARTIN: There had been a conference of five Western powers and five Eastern powers…that is five members of NATO and five members of the Warsaw Pact…which started in March 1960. That went along reasonably well for several months, but then the Russians decided to walk out in late June 1960 and that broke up the conference. Finally, in September 1961 , agreement was reached on a new forum. It would have eighteen members: five West, five East and eight so-called Third World or non-aligned. It would pursue its efforts within the framework of a set of principles that held out as the goal, general and complete disarmament. Part of that would have been, of course, a total ban on testing of nuclear weapons. With much fanfare that set of talks began in Geneva on March 14, 1962. It was called the Eighteen Nation Disarmament Conference (ENDC) because of the fact that there were eighteen members. Curiously enough the French never deigned to sit so it was seventeen members. Since the chairperson situation rotated for each meeting, the French sign in front of the French delegation just bounced around the table meeting after meeting with no one sitting behind in the four chairs allowed for each delegation…. ENDC really had three parts. It had the plenary session, which was all seventeen sitting members, not the French. It had a committee of the whole, for special efforts of one sort or another, which was again the seventeen sitting members, although the chair for that went in a separate rotation. And it was agreed, and as I recall this was part of the initial agreement creating the ENDC, that there should be an additional separate effort involving only the US, the UK and the USSR, to pursue a nuclear test ban. PICKERING: The non-aligned group there I think caucused quietly among themselves….China was not there because we couldn’t abide China in those days. It was the Soviets and the British so these were the permanent members. The Russians wouldn’t allow Taipei in and we wouldn’t allow Beijing, so we left them both out. The Czechs were there as were the Poles on the Soviet side. Egypt was there. It was an interesting group, we had Brazil and Argentina, Canada. MARTIN: We had had talks with the British, Canadians and the Italians — the French didn’t even get involved in those preliminary talks — in Washington before the mid-March opening. There were a couple of those sessions which were very useful to begin to weave together a joint approach on the part of the Western delegation. We then, as an initial activity, had to get to know the non-aligned delegations and the people they had and the expectations they had and the background and expertise that they might bring to this effort. All this work was divided up among the people on the delegation. One thing that struck me from the outset was the feeling, particularly among the non-aligned, that this was an activity that was hugely important but not very complicated, not too hard. We would open at the ministerial level in mid-March 1962 and then the ministers would depart and we would probably spend six to eight weeks in various plenary sessions discussing this and then, of course, we would have to call the ministers back and have an agreement ready to sign. One of the great pluses of the Geneva Disarmament Conference process was the fact that, very quickly, the smart ones among the non-aligned realized that this was hellish hard business, the difficulties were clearly in the details and there were more details than they ever possibly could imagine. Even if you were able to get all of this right, the bits and pieces, the little provisions and the huge array of details, you still required a political decision on the part of the Soviets and the Americans at the same time or you didn’t have a deal. But the more important step was the realization, the understanding that came to pass rather quickly, as I say, from the thoughtful, smart people from the non-aligned side that this was really very serious business and would take a long time. They got into it and most all of them became adept, understood the issues and were able to contribute significantly in a lot of useful ways over time. That was a huge plus in terms of starting that process, which had not been the case in earlier negotiations going back to 1960 where there were just five West and five East. PICKERING: We had this combination of some State Department people who had actually been involved in negotiations and as a result whose views on the negotiating process with the Russians were respected. We had some people from the scientific community. We had been working closely with them. There had been a scientific exchange with the Russians and the Brits before we began talking about test ban and talking about the viability of various control techniques. You had military who came in who weren’t sure what to make of all of this and how to deal with it. I was the junior member of the delegation so I had the liaison with a couple of the Africans — Ethiopia and Nigeria. I got out to see their foreign ministers and talk to the delegations. They were at sea as much as anybody else. I dealt also with India a lot at that particular time. India had some really very able people. They had a strong delegation. GOODBY: I had a very free hand to work on the test ban negotiations as I saw fit. The point of it is that there wasn’t anybody in the State Department that was really very much interested in this or wanted to take it over, and so the turf was ours. I can tell you that the process that I quickly developed was to work out a very close working relationship with the British Embassy. The test ban negotiations at that time were essentially being run by the U.S. and the British on the one side, and the Soviets on the other. So that whenever I had some ideas that I thought ought to be put in Kennedy’s ear, I would talk to the British Embassy. And the British Embassy would send a message to London, who would give it to Harold Macmillan, who would then give it to Kennedy. And it worked like a charm for about three years. So that was the way we did business. I won’t necessarily go into all the details, but many of the suggestions that in fact led to the successful conclusion of the Test Ban Treaty in 1963 went via this channel: from me to the British and Macmillan and back to Kennedy. TRATTNER: The test-ban delegates met daily or sometimes only two or three times a week and the conference produced newsworthy stories maybe 20 percent of the time. “Newsworthy” often meant that the Russian delegate had been unusually harsh that day, or had said something funny to the reporters hovering outside the conference room, or there had been a genuinely new development like a change of Allied or Soviet policy in the talks. It was easy to sell a story, for example, that reported a possible break-off of the talks because the Russians had said something that could be interpreted as hinting a break-off. In any case, through all of this, it was clear that the Russians never intended the talks to produce a ban on nuclear tests that was really effective. I guess it was also their faint hope that they could sucker us into a faulty treaty where true inspection or monitoring would only be window dressing and they could continue testing undetected. Meanwhile, the conference at least allowed them to pretend a sincere interest in arms control, as they had in other similar talks. On the other side, the UK and U.S. delegates had come to have few illusions about Russian motivations or any real hope the talks would achieve anything. But then, one never knew. So the two Western powers continued the talks with the Russians. At the least, the West could be seen to be trying to negotiate an important arms control accord, even if nothing ever seemed to happen. And this allowed us reporters to keep on writing and airing stories on the talks. The market for our stuff was sustained by the world public’s frail, fragmented hope for success or, on the other hand, its fear the talks would collapse. They did, finally, after the Russians blew off a megaton device in Siberia in the late summer of 1961. It was the biggest atmospheric test to date. PICKERING: It was hard not to see the [Soviets] as “the enemy”. You got to work with them a little bit and understand them and see some individuals and it became a little more congenial. We had several ambivalent lunches and dinners together, people sort of relaxed a little bit. But it was clear Tserapkin was a consummate hardliner and very difficult to deal with. We were sure he was following his instructions to the letter. 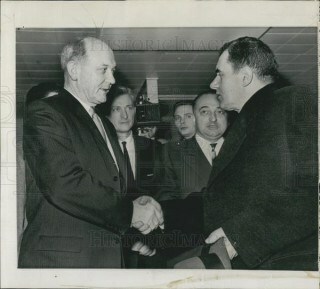 In that regard so was [Soviet diplomat] Valerian Zorin (seen left.) Zorin was an artful speaker….He never left a stone of rhetorical attack unturned. We had a very clever British delegation leader who was a Member of Parliament and became later Minister of Agriculture, Joseph Godber. I don’t know if you ever heard his name, but he was, like many of our British colleagues a master of debate. In one of Joe’s speeches at the end, almost ad-libbed, he said he had noted that Mr. Zorin was frequently talking about capitalist circles, capitalist circles here, capitalist circles there. “How would he like it,” he said, “if I called you a red square?” Most of the room howled, the Russians looked nonplussed, the interpreters failed and we had a tremendously capable Russian linguist on our delegation by the name of Alex Akalovsky who actually did the interpretation for President Kennedy in his first meeting with Khrushchev in Vienna. They came running over to Alex, five of them, and he had to explain what the Red Square pun was. GOODBY: Towards the beginning of 1962 I became convinced that we probably would not get a comprehensive nuclear test ban, which had been our objective, although [President Dwight] Eisenhower had also talked about an atmospheric test ban. So I devised the idea that we would develop two new treaties. One would be a revised Comprehensive Test Ban Treaty, and the other a Limited Test Ban Treaty, one that would ban tests in the atmosphere, underwater, and in space, but not underground. PICKERING: At the same time, Jim [Goodby] and others had an idea that we could probably get the Russians to agree to give up everything but underground testing. This would handle the biggest task of what we were doing to do — cut out fallout and limit testing. Kennedy and the White House got the proposal to the Russians that we would do a comprehensive treaty or we would do a treaty in three environments — space, the atmosphere and underwater, but not underground. The Russians jumped for the more limited test ban. Averell Harriman took that to Moscow and negotiated it in a few weeks. 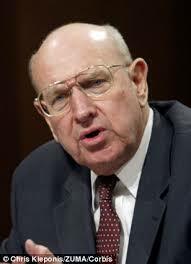 GOODBY: So, mainly during the summer of ’62, Tom Pickering and I did most of the drafting on the Limited Test Ban Treaty. I would give it to the British, they would react to it. Funny thing is that we didn’t have any difficulties with the Pentagon, to speak of, in those days, because they had been told by Kennedy to give us support. At least I think they had been, because they did give us support…. Harold Macmillan is really, in my mind, the unsung hero of the whole test ban. He never gets any credit for it, but, to the extent that he really kept the thing on tracks, I think more than anybody else he really did that. I hope it will come out some day. When the British papers are released, we’ll probably see some of that stuff…. These two treaties that we developed, which in the case of the Limited Test Ban Treaty I wrote most of it myself and Tom Pickering would do some of the drafting as well, when we finally got to the point where the British were able to accept it. We had actually gone through five drafts with the British before giving it to the Defense Department. You never would do that nowadays, of course. But they adopted it, and in August, I think it was August 27, 1962, we introduced these two treaties and told the Soviets: Take one or the other. A new comprehensive test ban was based more on adversary inspection — the Soviets inspect the U.S.; the U.S. inspects the Soviets. Use black boxes, i.e., seismographs installed in various places in the U.S. and the Soviet Union. Some on-site inspection. And, for that reason, of course, we surmised the Soviets wouldn’t accept it, and they didn’t. And they didn’t want the Limited Test Ban Treaty, either. They obviously at that point were moving towards the Cuban situation. 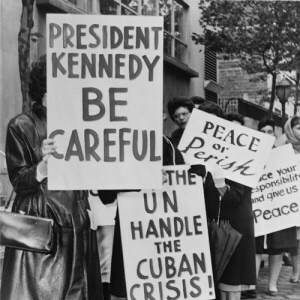 And of course, the Cuban missile crisis broke in October of ’62. After that, came a period of detente. The usual speculation for its cause is that looking down the atomic barrel made both Khrushchev and Kennedy want to do something about it. And there is clearly a lot to that…. We were authorized to inquire of key senators what would there view be of that. Most of them that we talked with said it would be all right; they didn’t think there was any problem with that kind of thing. But that was interrupted by the willingness of the Soviet Union to accept on-site inspections for the first time in the nuclear test ban negotiations. And they said they would accept three inspections. We had some very secret negotiations, the details of which have not yet been revealed. We met first with the Soviets alone, and then finally the British joined us. David Ormsby Gore, who was the British ambassador and had been the British representative to the test ban talks, joined us after a meeting or two. In effect, what we tried to do was to tell the Soviets if you will describe to us what on-site inspections would actually consist of, so that we can determine the quality of these individual inspections, then we’ll talk about numbers. But it was pretty clear to most of us that the Senate, which was not all that enthusiastic about a comprehensive test ban anyway, was not likely to ratify a treaty with only three on-site inspections. And so we were hoping that if the Soviets could say, “Look, you can go and do anything you want to in these inspections and don’t worry about it,” then we could go to Congress and say, “Well, look, here’s what they’ll let us do, and we’re absolutely convinced we then will have the things we need.” Then we thought we would have a little more flexibility. Whether we could go down to three I think most of us doubted, but we thought maybe we could do five. The official position, I think, was seven or eight at that time. It sounds like small potatoes now, but it was that sort of thing that was making the difference between go and no-go in terms of senatorial ratification. The Soviets turned us down cold. Three was it, and they would not talk about the modality of inspection, so we accepted three. We did talk with them successfully about placing these automated seismographs at various points. I took one of these National Geographic maps, like you have on your wall, over to the Soviet Mission and put x’s on it where we would want ours in the Soviet Union, and they did they same…. So Kennedy announced the atmospheric test ban thing, which was also my idea. 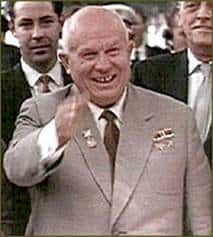 And Khrushchev very quickly accepted, in a speech he made in East Berlin a couple of weeks later, that he liked the idea of not testing first in the atmosphere. So we picked up that. And, you see, this signaling from the top, as I sometimes call it, is fairly important. 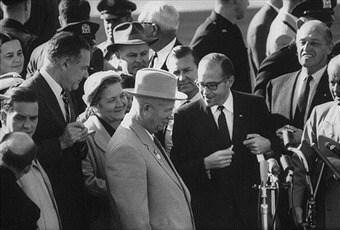 Khrushchev had been burned already in the three on-site inspections; now he heard Kennedy say, okay, no tests in the atmosphere, and it reassured him. It may not have been a big deal, but I think it provided some comfort to Khrushchev to think, well, now he’s dealing with somebody that can really speak for the U.S. government. And then Harriman was sent over with instructions to see if he could get a comprehensive test ban, but, if not, to get this Limited Test Ban Treaty, that we had drafted. I had drafted it with Tom Pickering back in 1962. It had been on the table for a year, and the Russians hadn’t shown any interest in it. 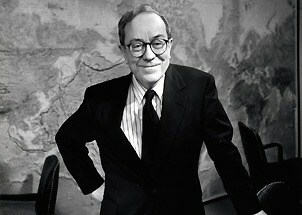 So Harriman had that with him. 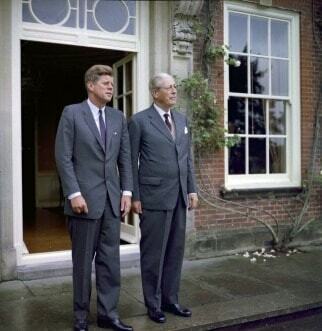 And so, with very minor changes, this treaty that Tom and I had drafted in 1962 became accepted by the Soviets and was then submitted to the Senate by Kennedy and ratified.